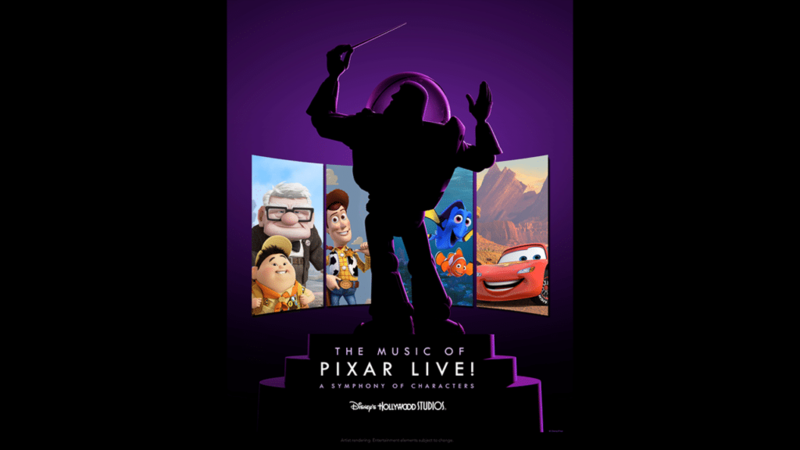 Starting May 26, Disney’s Hollywood Studios will present “The Music of Pixar LIVE! A Symphony of Characters”. This limited-time concert event will showcase memorable music from Pixar Animation Studios films, complete with a live orchestra and appearances by beloved Disney•Pixar characters. “The Music of Pixar LIVE!” will be presented three times a night at Theater of the Stars at Hollywood Studios. “Beauty and the Beast – Live on Stage” will follow its regular daily schedule. The show will also feature highlights from some of Pixar’s greatest scores, from films like “Toy Story” to “Cars 3.” Guests can also expect appearances by Woody, Jessie, Mike and Sulley, the Incredibles and more.